I just love love love Sarah Dessen, and this book did not disappoint. It looks like it's going to be another typical summer there with her gorgeous high-school sweetheart, Luke - until a New York filmmaker and her ambitious assistant Theo check in. They're obviously after a story. But, when getting the locals to talk proves tricky, Theo decides they need a guide and he's got his eye on Emeline . . .
Can Emeline decide where her loyalties, and her heart , truly lie before the summer ends? I love books about summer, I especially like books set in the US during Summer vacation. Why? Because living in Australia, it's such a foreign concept...three whole months off...when I was at school, the summer holidays seemed long, but they were probably 6 weeks long, at the most. So in this book we have Emeline who has always lived in a small town, has had one boyfriend, and is about to move away and start a new life. She thinks she has the summer to get used to the idea, but the changes are already happening. Emeline undergoes a break up, a new boyfriend, and a new relationship with a half brother she barely knew at the start of the summer. She starts to think that while change is inevitable, she's may not be ready to leave everything she has ever known behind. It's not just the summer break that highlights a difference between the US and Australia, it's the concept of going off to College. It's not that Australian teenagers don't go to University, we do, but we seem to go to Uni closer to home. Maybe it's just me from little old Adelaide, but I know very few people who went interstate to go to Uni, so a teenager embarking on such a big life changing experience is a novel concept to us. 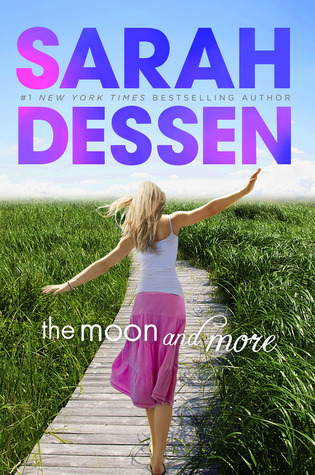 If have not read a Sarah Dessen novel yet, visit her website, http://sarahdessen.com/books/ and see what other gems are waiting for you!